Hi Athul, Can you tell us something about yourself? Sure, I am B tech graduate with an engineering degree in the field of Computer Science. Back then, I never found myself interested in studies and theoretical concepts. However I was very good in coding and always dreamt to utilize this skill to pursue both my passion and professional endeavor. My initial journey to master coding began by learning PHP. I then moved on to Python and Django wherein I worked on a few projects using the same including my college academic project. However I did not find Python and Django to be very interactive. By then I was made aware of the wonder that is Ruby on Rails. I researched more about it and thoroughly enjoyed the experience and ease it provided to users. I somehow, very much wanted to learn and master it. Owing to my luck, I stumbled upon Aniruddha’s profile. I telephoned him that very day. He was easy to talk to understood what I needed. We hit it off quickly and the next thing I know, I was flying from home to Bangalore to enrol into DCT Academy. What career aspects you found for yourself after learning Ruby on Rails? Well, as I mentioned, I had already learnt PHP and Python. Somehow they failed to catch my enthusiasm. With Rails, I was in awe as to how things could be worked upon so easily, yet maintain the true paradigm of programming and rejoice its strict adherence to standard good practices. I was not well-versed in front end development. But Rails again helped me ease that pass with easy integration for the front end. How would you share your learning experience while you were in DCT Academy? DCT Academy was indeed a game changing learning experience for me. I doubt there is any teacher who is as methodical and dedicated as Aniruddha is. He is the best there is to get trained from if you want to really shape your career. You just don’t get trained here to be a good programmer but learn all the relics and necessities of being a professional. Aniruddha has a very delight-able character. There are times when I have called him at around one o’clock at night and yet he was kind enough to answer to all my queries without any complaint. Such is his dedication towards his students. Also, DCT Academy has given me some really great friends. Rakesh, Aniket & myself we would sit for hour’s together brainstorming upon ideas and try to build them into an app. Those were moments where you get to learn so much, having the pleasure of like-minded people surrounding you. DCT Academy has very much been like my second home, because most of the moments when I am free from office you will find me in DCT Academy. What do you think is the future for developers who want to study ruby on rails? Ruby on Rails developers are so much in demand now. Several companies are shifting their code base to Ruby on Rails. More than half of the start-ups are using Ruby on Rails to build their products. Even high renowned products such as Github, shopify, crunchbase, groupon, scriptbox etc are built using Ruby on Rails. There is a huge community available for Ruby on Rails. No matter how small or silly your query is, the community is quick enough to respond and answer to the point. There comes hardly a day where I do not refer to these answers given by experts from Rails community. Besides that, the cherry on the ice is the support that Rails provides for its developers. The gems are the heart that makes this framework so awesome. I could literally write pages about how useful these gems are and how revolutionary they make the rails development process. What are your suggestions for forth coming developers from your own personal experience? Well the answer is simple enough, hard work. There is never a substitution for hard work. To be a good developer is not just about studying what is there in the books, but by training and implementing new things hands on. You will need to start questioning everything, wonder about even the smallest things and break things apart just to learn to put them back together. Moreover you need to keep on learning. Ruby on Rails is used to build the backend. You need to learn to build front end as well to survive the competition. Only when you learn things, build something new, overcome problems and find solutions to them, you feel the extent of your efforts been fruitful and joyous. P.S. -Our Readers can refer to www.hackodezo.com to find out more about Athul’s online profile. 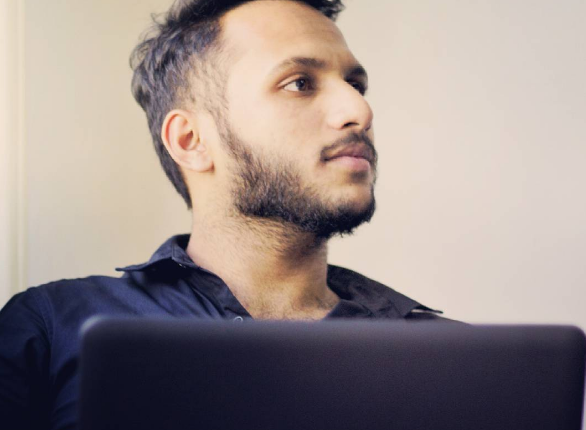 Athul is an outstanding & immensely talented developer and a truly inspirational figure at DCT Academy. His knowledge expands exponentially on a day to day basis. Whenever you interact with him you will have something new to learn. Athul perfectly epitomises the term ‘Practise’ and a role model for all those aspiring developers.